Many consensus organizations recommend that all children have their blood pressure routinely measured to screen for hypertension. The value of this practice has been questioned based upon a lack of conclusive clinical trial evidence that such routine measurements lead to prevention of adult cardiovascular disease. Additionally, even recognizing elevated blood pressure measurements in childhood can be challenging, which may further weaken the value of routine blood pressure screening. 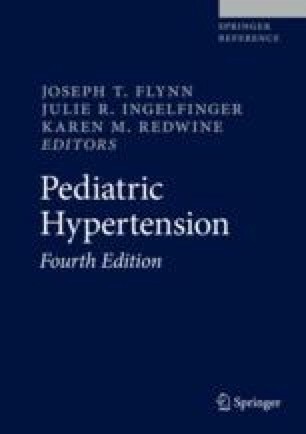 However, ample indirect evidence from longitudinal cohort studies exists that elevated blood pressure early in life is linked to intermediate end points and may predict the development of adult hypertension. Additionally, elevated childhood blood pressure may be an early sign of an underlying condition that requires specific treatment. The rationale for routine blood pressure screening in childhood will be discussed in the context of these important issues.